Get the security you deserve and find various options to suit your enterprise needs. Security updates for "Toshiba Service Station"
You must accept the enclosed software License and Warranty Terms (microsoft.com/useterms). The operating system software and updates use significant storage space; user's storage capacity will be less. For additional information see https://www.microsoft.com/en-us/windows/windows-10-specifications. Some Windows 10 features may require advanced hardware. Check for details. Cortana available in select regions, experience may vary by device. The computer which is mentioned as "Single Language Edition" in our Home Page is preinstalled with Windows 10 Home Single Language Edition. 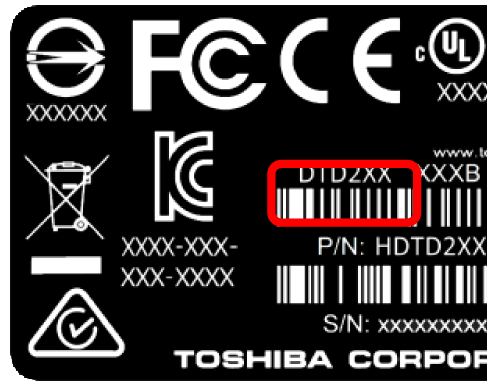 On June 22, 2018, Toshiba announced a voluntary recall of certain DC−in plugs used in some AC Adapters due to a potential burn hazard. 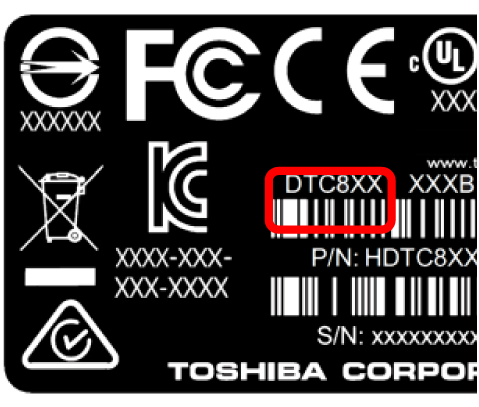 Toshiba sold the affected DC−in plug as a part of AC adapters used with new laptops and as accessories or with replacement AC adapters in the course of repair from December 2009 to July 2012. Toshiba is offering a free AC Adapter replacement for ones with the affected DC−in plugs. It is important to note that these affected AC adapters &lpar;2−pin&rpar; were not sold and distributed by Toshiba Singapore Pte Ltd. However, affected AC adapters that are currently located within Toshiba Singapore&apos;s supported region will be provided with a corresponding compatible replacement. Cloud Engines, Inc. announced Pogoplug® PC for Toshiba Users will permanently cease operation and support on September 30th, 2017 at 11PM (Pacific Daylight Time) and new user registrations will be disabled as of June 1, 2017. Toshiba will permanently cease support at the same time. This change applies to all Pogoplug® products including but not limited to the free cloud storage services, the Pogoplug® Backup Software, Pogoplug® Remote Access, the Pogoplug® web application, and Pogoplug®’s mobile apps. After September 30th, 2017 at 11PM (Pacific Daylight Time) any data still remaining on Pogoplug®’s servers will be permanently destroyed. Please be sure to back up your necessary data stored in the Pogoplug® cloud storage services to your local storage devices before September 29th, 2017 at 11PM (Pacific Daylight Time). If you require assistance, please contact support by emailing toshibasupport@pogoplug.com or by emailing Pogoplug® main support line, support@pogoplug.com. 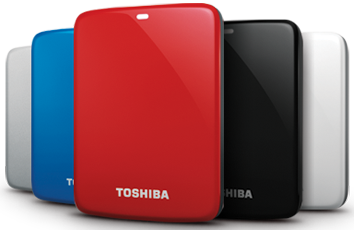 Applicable Products that contained Pogoplug® PC for Toshiba users. CANVIO is a trademark of TOSHIBA CORPORATION. POGOPLUG is a trademark of Cloud Engines, Inc.
Intel Corporation (“Intel”) announced that there is an escalation of privilege vulnerability in the remote manageability feature via certain Intel’s products, including Intel® Active Management Technology firmware. 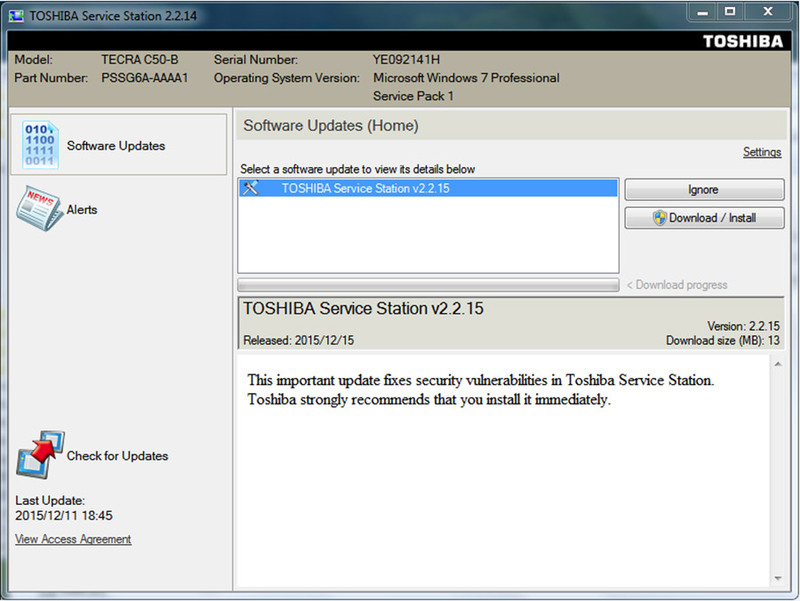 Firmware update for Toshiba products is in preparation. Until the firmware update is available, customers who have an affected product are recommended to keep such feature disabled (please see 3. Recommendations). Please check the affected product list in below website to determine if you have an affected product. Firmware update for Toshiba products will be available after the end of May, 2017. Toshiba will publish the information on this website. As a mitigation option for the possibility of unprivileged network attacker, Toshiba recommend customers to disable “Intel® Active Management Technology” in accordance with the step in below website. On November 10, 2016 Toshiba Singapore Pte Ltd (`Toshiba`) announced an expansion of its previous voluntary recall of Panasonic battery packs launched in January 2016 (`January 2016 Recall`). This expanded recall affects additional Panasonic battery packs manufactured and used with certain Toshiba laptops sold between July 2013 and November 2016. If your battery pack is subject to Toshiba`s recall/replacement program, Toshiba recommends you turn off the laptop and remove the battery pack immediately. You can continue using your laptop safely by powering the laptop with an AC adapter power until you receive a replacement battery pack. Toshiba encourages all customers affected by this recall to contact Toshiba for a free replacement for affected battery packs. 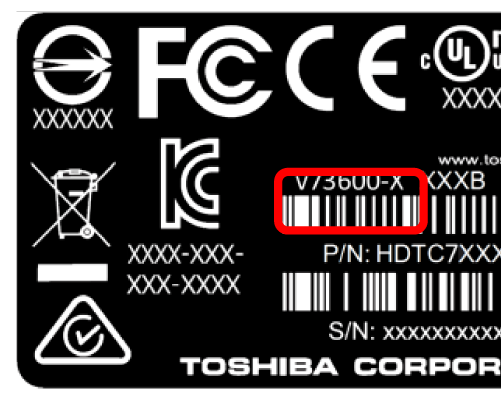 On January 28, 2016, Toshiba Singapore Pte Ltd ("Toshiba") announced a voluntary recall to replace the battery packs manufactured for and used with certain Toshiba notebook computers sold between June 2011 and April 2014. Toshiba sold the batteries with new notebook computers and as accessories or replacement batteries in the course of repair. Because there is a possibility that the affected battery packs can overheat, they could pose a burn or fire hazard. 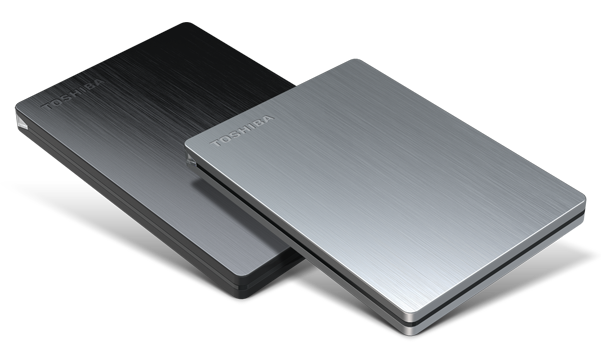 Toshiba is offering a free replacement for affected battery packs. If your battery pack is subject to Toshiba`s recall/replacement program, Toshiba recommends you turn off the computer and remove the battery pack immediately. You can continue using your notebook computer safely by powering the computer with an AC adapter power until you receive a replacement battery pack. To learn whether your computer shipped with a battery pack subject to this recall, please visit the following Toshiba website https://batterycheck.toshiba.com and follow the instructions. Please check your battery pack if you have certain replacement batteries in the course of repair process, on and after June 2011. Toshiba Singapore Pte Ltd (Toshiba) has released an important update to fix security vulnerabilities in Toshiba Service Station. Toshiba recommends that all affected users immediately update their PCs software as described below to address these security vulnerabilities. Security vulnerabilities potentially could allow unauthorized access to the affected PCs system registry. *Between V2.2.15.0 and later and earlier than V2.3.0 or between V3.0.1.0 and V.3.1.0.0 on Windows 10 upgraded from Windows 7 are not included. 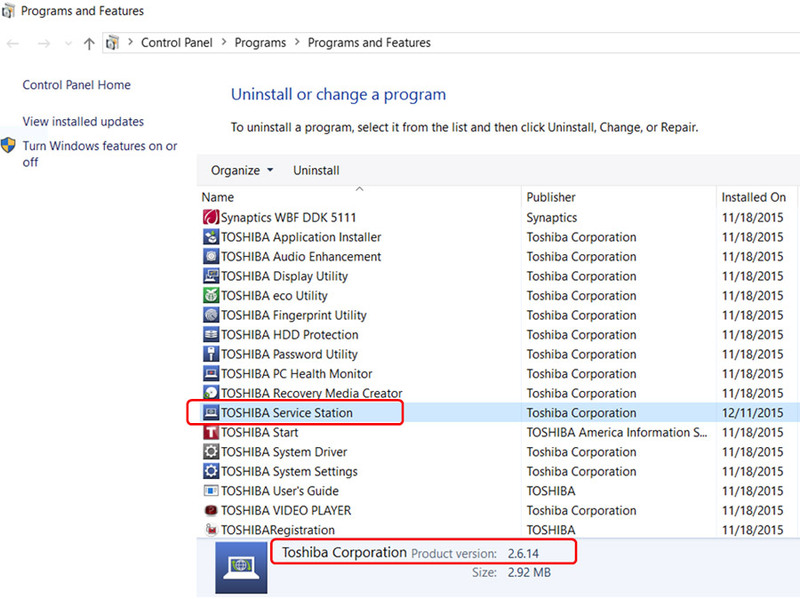 Determining which version of Toshiba Service Station is installed on your PC may vary according to the installed operating system. 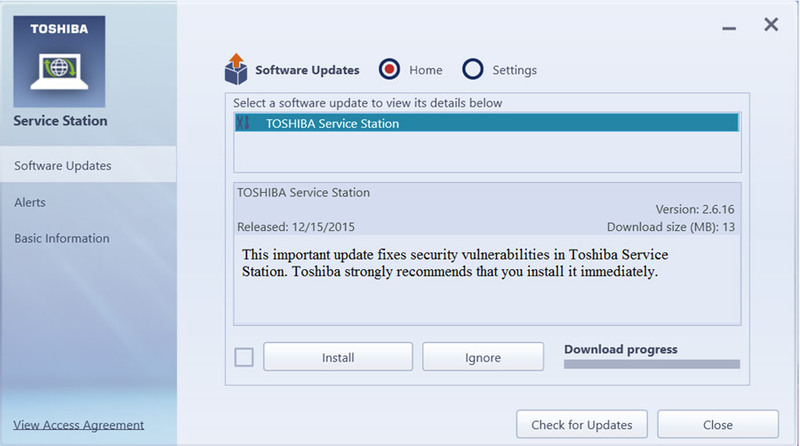 Updating to the latest version of Toshiba Service Station will fix the security vulnerabilities. For detailed instructions on how to determine if Toshiba Service Station is installed on your PC see "Determining whether Toshiba Service Station is installed on your PC" under the section titled "Instructions". For detailed instructions on how to install and update to the latest version of Toshiba Service Station see "Installation Instructions" under the section titled "Instructions". This security vulnerability applies only to TOSHIBA Service Station V2.2.14 and earlier versions or the version is 3.0.0.0 (Windows7/Windows Vista/Windows XP), or between V2.2.14 and 2.6.15 or between V3.1.0.0 and V3.1.1 (Windows 8/Windows 8.1/Windows 10). 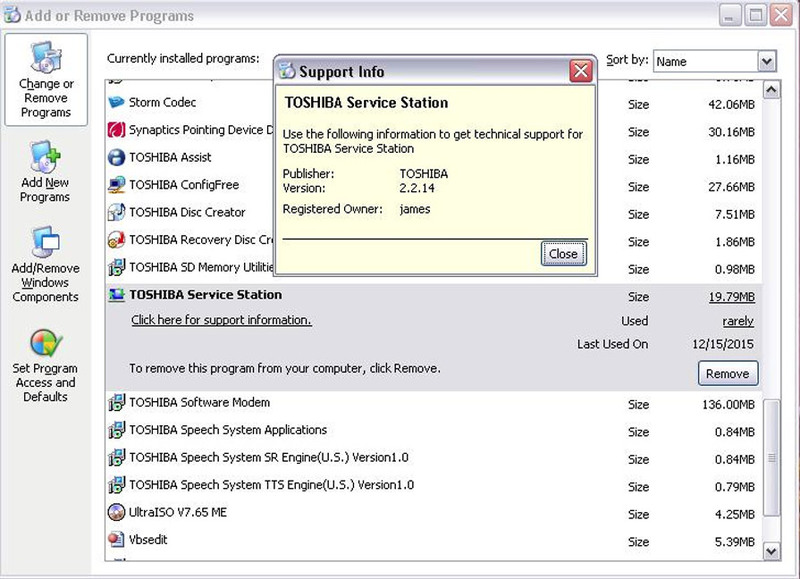 If Toshiba Service Station is not installed on your PC, you are not affected and no further action is required. 1. Save all work in progress and close open applications. a. 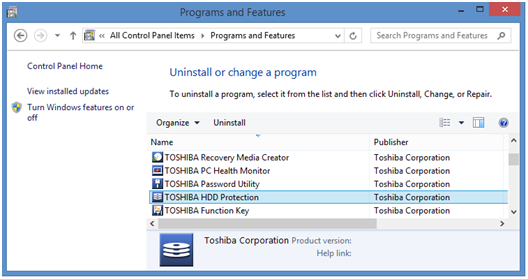 Windows 10: Pressing the Windows Key to open the start menu and then searching for Toshiba Service Station in All Apps. b. Windows 8 & 8.1: Pressing the Windows Key and typing Service Station. c. Windows 7 and Vista: Pressing the start button and searching for the program file Toshiba Service Station. 3. Once Toshiba Service Station is open, click the button labeled "Check for Updates". 5. Click the Start button when the TOSHIBA Service Station window is displayed. 6. Click yes if a User Account Control Window is displayed. 7. Follow the displayed instructions to complete the installation. 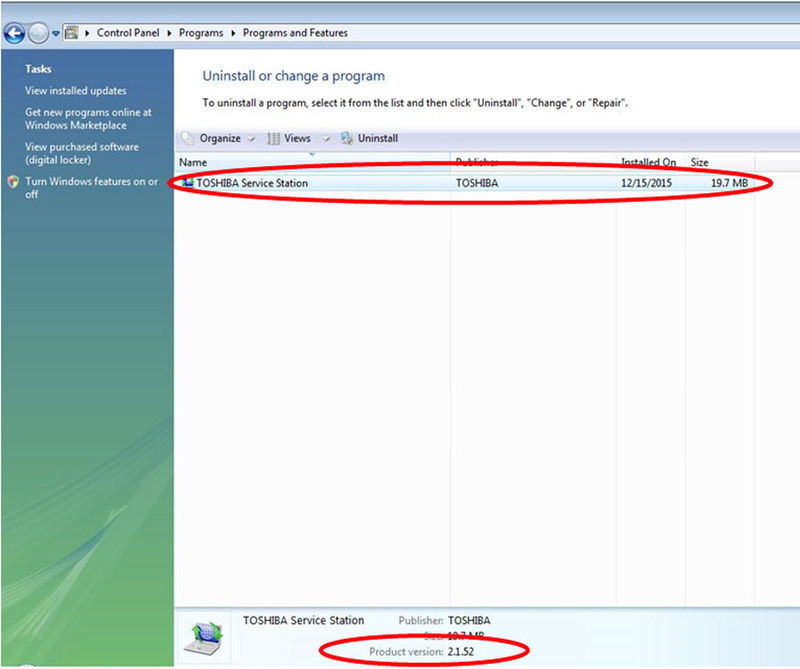 Determining which version of Toshiba Service Station is installed on your PC may vary according to the installed operating system. Please see following instruction according to your operation system. 1. Press the [Windows Key] + X then select ""Programs and Features"" from the pop up dialogue. 2. If you do not see Toshiba Service Station in the list of programs, you do NOT need to proceed further. 3. 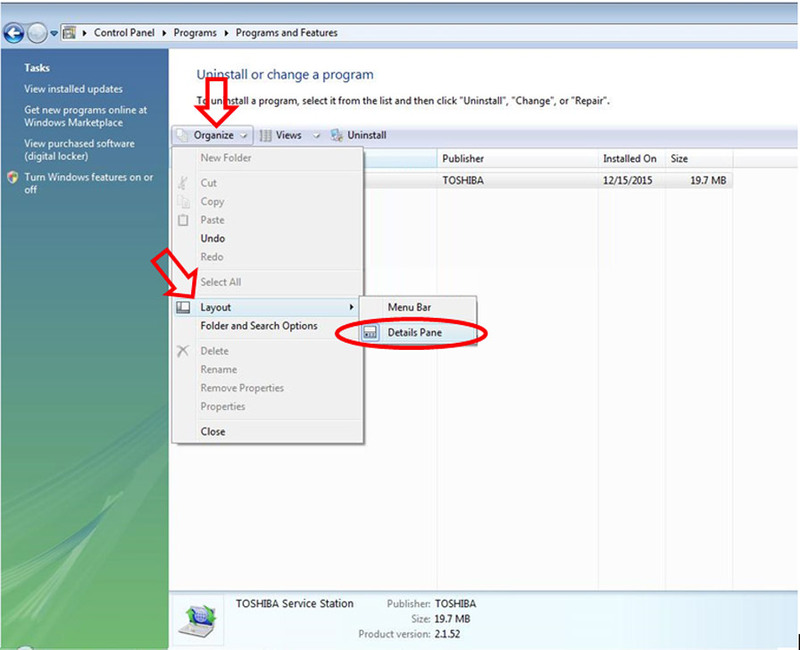 If you see Toshiba Service Station in the list of programs and the installed version is between V2.2.14 and 2.6.15, click here or the version is between 3.0.0.0 and 3.1.1, click here for download and follow the instruction that will be displayed on your screen. You can view the version number by left mouse clicking on TOSHIBA Service Station one time. 1. Open Start by swiping in from the lower-right edge of the screen then tap Start. 3. Access Uninstall or change a program in the Windows Control Panel. 4. If you do not see Toshiba Service Station in the list of programs, you do NOT need to proceed further. 5. If you see Toshiba Service Station in the list of programs and the installed version is between V2.2.14 and 2.6.15, click here or the version is between 3.1.0.0 and 3.1.1, click here for download and follow the instruction that will be displayed on your screen. You can view the version number by left mouse clicking on TOSHIBA Service Station one time. 1. Access Uninstall or change a program in the Windows Control Panel. 3. If you see Toshiba Service Station in the list of programs and the installed version is V2.2.14 or lower, click here or the version is 3.0.0.0, click here for download and follow the instruction that will be displayed on your screen. You can view the version number by left mouse clicking on Toshiba Service Station one time. 3. If you do not see Toshiba Service Station in the list of programs, you do NOT need to proceed further. 4. If you see Toshiba Service Station in the list of programs and the installed version is V2.2.14 or lower, click here or the version is 3.0.0.0, click here for download and follow the instruction that will be displayed on your screen. You can view the version number by left mouse clicking on Toshiba Service Station one time. It has come to our attention that the installation of certain versions of Trend Micro’s security software may inadvertently disable startup of Toshiba’s HDD protection feature, available on certain Toshiba PCs. Trend Micro has released a software update to fix this issue and re-enable Toshiba’s HDD Protection feature. If you currently are using Trend Micro’s security software and have enabled its “auto update” feature, the relevant software patch will be applied automatically to your system. Thank you for your continuing support of Toshiba and its products. 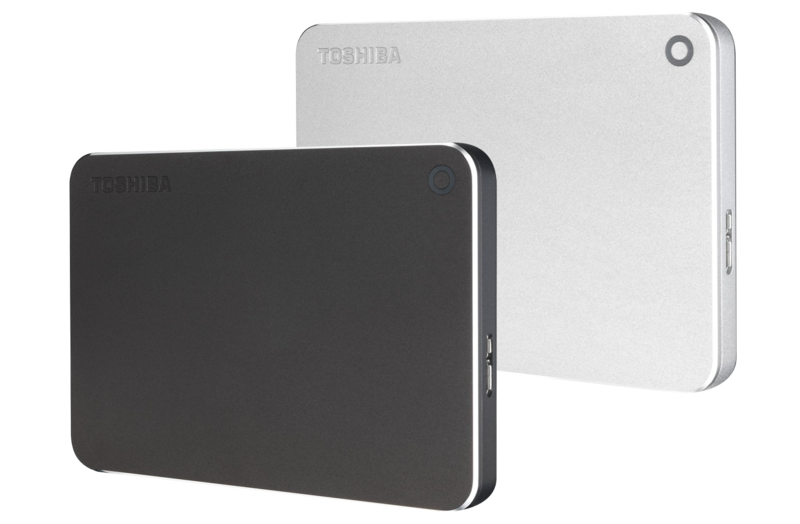 Toshiba PCs with the “Toshiba HDD protection” feature which have also installed Trend Micro Internet Security v8.0, Trend Micro Premium Security v8.0 or Trend Micro Maximum Security v. 8.0. 3. Access "Uninstall or change a program" in the Windows Control Panel. 4. 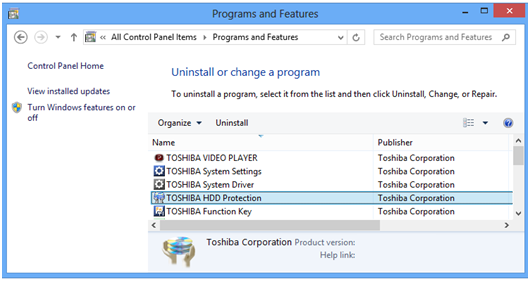 If you do not see TOSHIBA HDD Protection in the list of programs, you do NOT need to proceed further. 1. Open Start by swiping in from the upper or lower-right edge of the screen then tap Start. 1. Access "Uninstall or change a program" in the Windows Control Panel. 2. 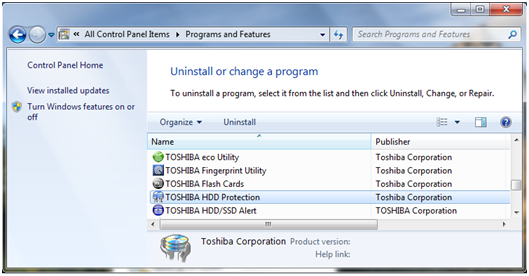 If you do not see TOSHIBA HDD Protection in the list of programs, you do NOT need to proceed further. As noted above, if you are using Trend Micro’s security software and have enabled its “auto update” feature, your software will be updated automatically. If you cannot enable the Trend Micro “auto update” feature, or you have already uninstalled the Trend Micro V8.0 security software please apply the update program below as soon as possible. The information and notice provided herein are all subject to change without notice. 1. Download and save the file to a convenient location such as the Windows Desktop. 2. Save all work in progress and close open applications. 3. From the Windows Desktop, double-click the downloaded file to start the installation. 4. Press Yes if a User Account Control message is displayed. 5. Press the Start button at the Toshiba Archive Extractor window. 6. Press OK when The update was applied successfully is displayed. 7. If the update has already been installed, The update was already applied to this machine will be displayed. 8. If TOSHIBA HDD Protection is not installed on the PC, The update was not applied, since this machine is not targeted will be displayed. 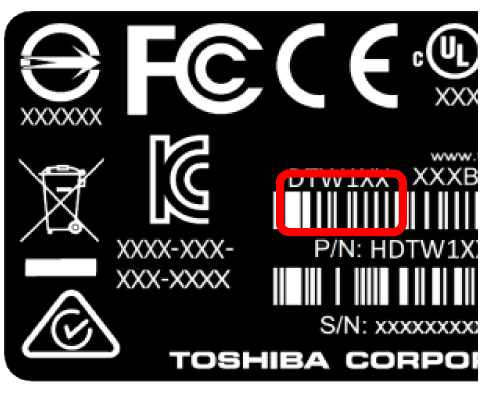 On November 25, 2014, Toshiba Singapore Pte Ltd ('Toshiba') announced the recall and replacement of AC power cords 1) sold with certain Toshiba notebook computers manufactured and/or 2) replaced in the course of repair process, from September 2010 through June 2012. Toshiba is taking this action in the countries where the affected products were sold. Because there is a possibility that some affected 3-pins AC power cords may overheat and burn, Toshiba is offering a free replacement for affected AC power cords. AC power cords subject to this recall are marked with "LS-15" on the portion of the cord that plugs into the power brick. Please see below photo illustrating the location of the marking. AC power cords that do not bear the "LS-15" marking are not subject to this recall. To learn whether your PC shipped with an AC power cord or your replaced AC power cord subject to this recall, please visit the following Toshiba website, https://extranet.toshiba-tro.de/en-us/acreplacement.aspx and follow the instructions there to register to receive a free replacement AC power cord through a local Toshiba authorized service provider (for the list of authorized service providers, please visit https://toshiba-business.com/support/providers.html).